Disclaimer: I received a copy of the CD for review purposes. No other compensation was given. All opinions are my own. Laurie Berkner has been a staple in children’s music for longer than I’ve been tuning in to her fun-loving guitar playing for the boys. I’ve owned several of her CD’s but was really excited for her newest one, which just released last week and is the current top request in the car right now. 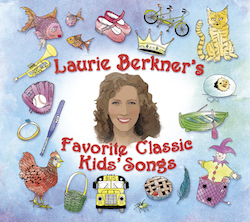 The pair of CDs in The Laurie Berkner Band’s Laurie Berkner’s Favorite Classic Kid’s Songs is perfect for my kids, as one can sing along with every song in the albums, and the other one is warming up for his future singing along with music time in preschool. A few of them were new to my eldest, but they were from my day camp days so songs like “Rum Sum Sum” were easy to teach him the hand movements (which are actually pretty well described in the song, I was impressed). My youngest is slow at talking but I can hear him following along in the melodies in the backseat – he’s got an excellent sense of tone. I love albums like this because they are simple and fun – not trying to pander to little kids with overuse of cutesyness, but just someone playing a guitar and singing with enough joy you hear the smile on her face. Check out more of The Laurie Berkner Band’s songs on their Youtube channel and check out her site for more listening fun and links to albums. Laurie Berkner also has a couple apps too! 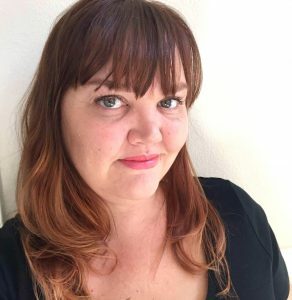 Check out the band’s app for songs and concert information, and she even has a fun little game (you can download the lite version for free). The CD, as well as her other music, is available on Amazon and iTunes as well as other retailers.